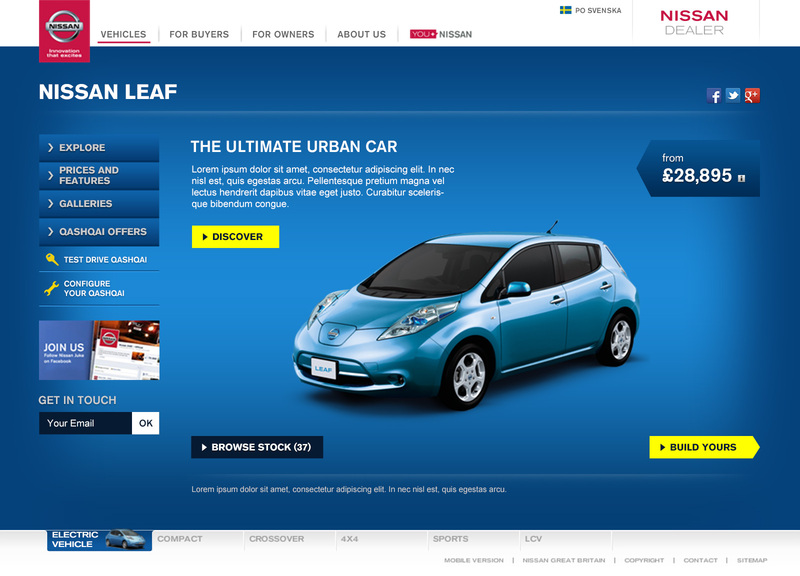 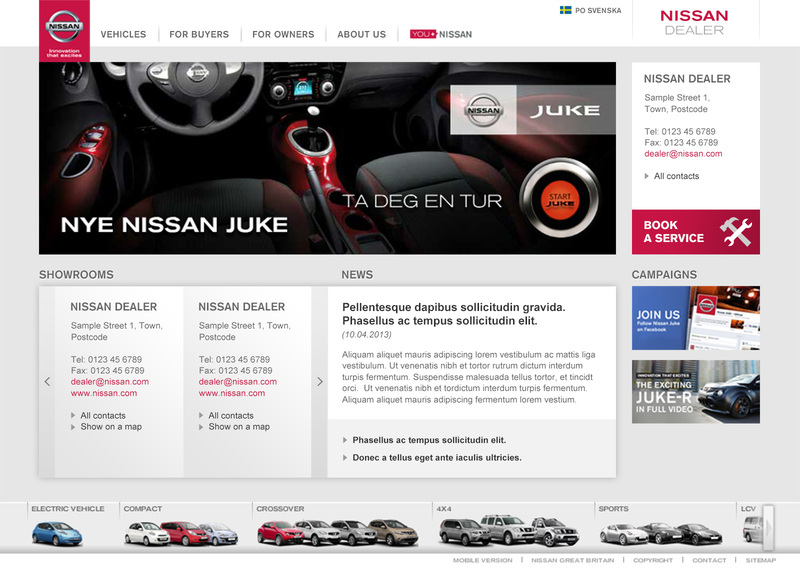 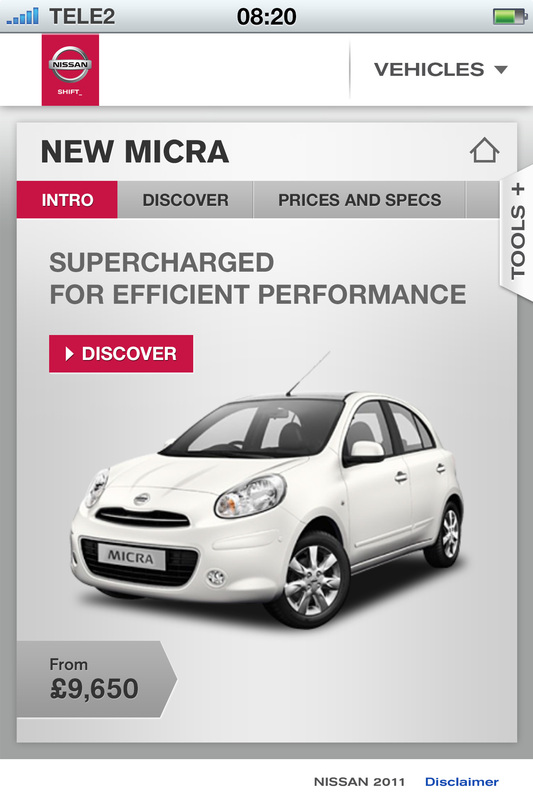 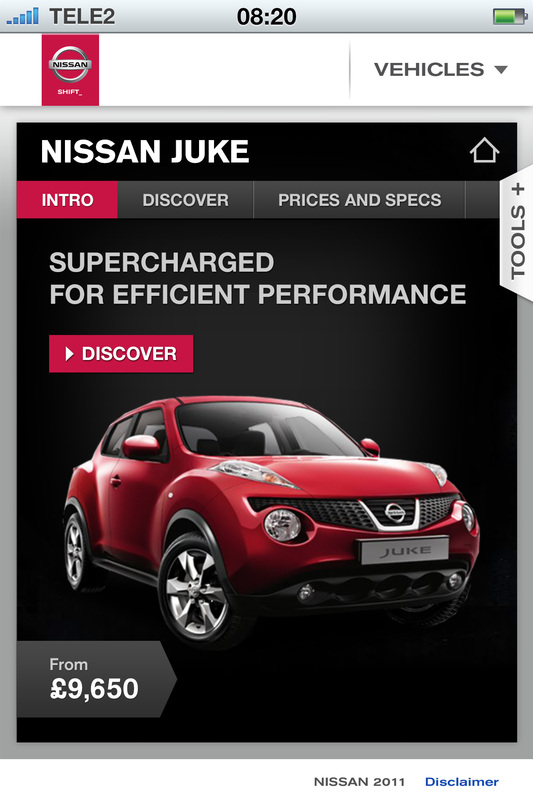 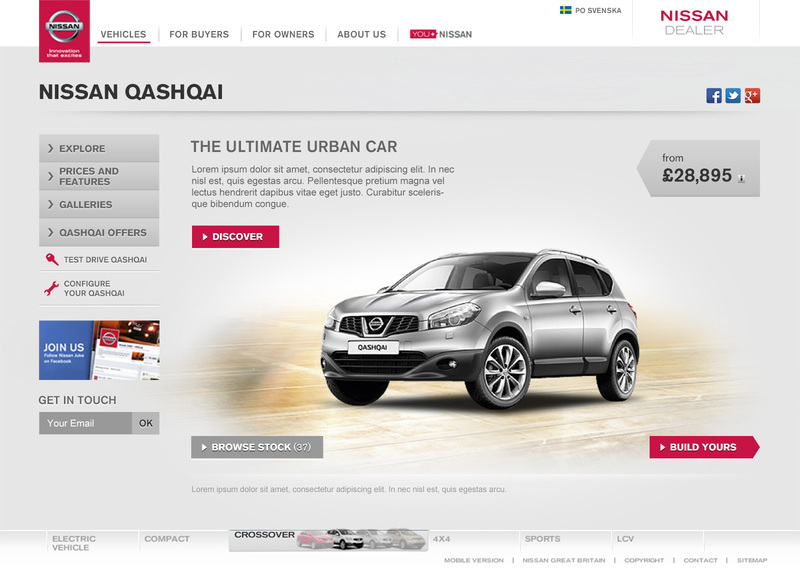 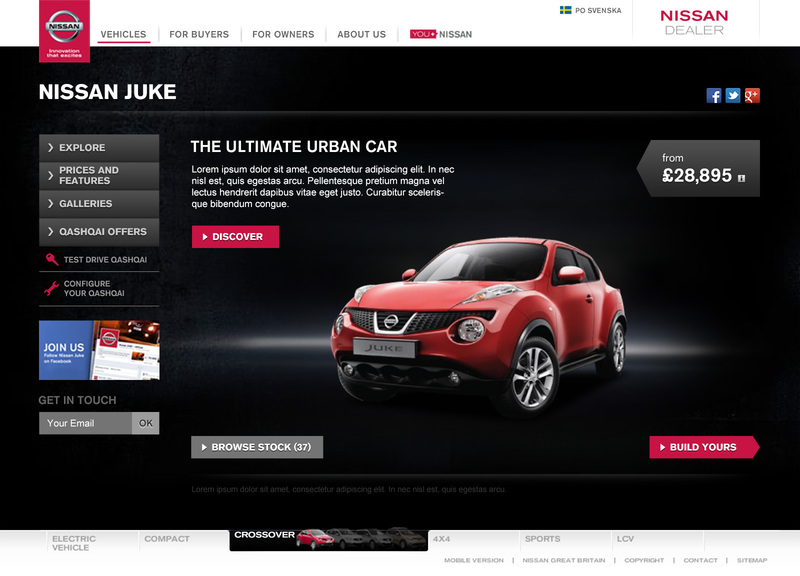 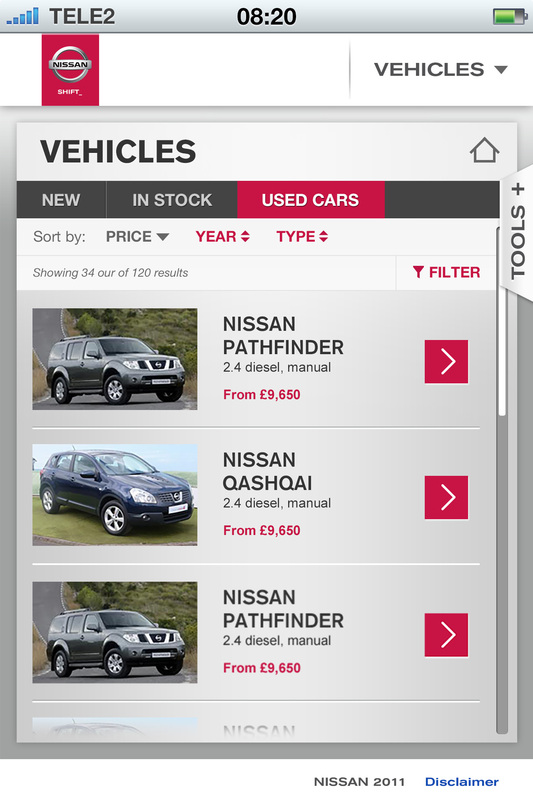 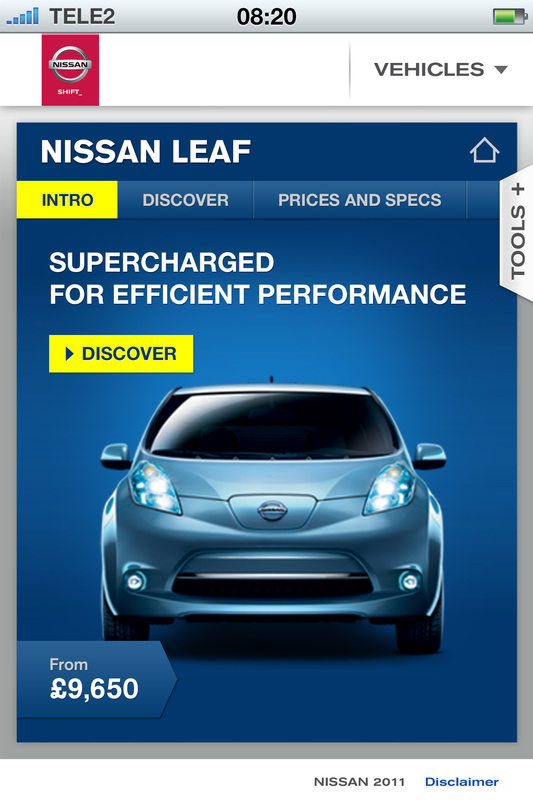 I’ve been making Nissan digital package for dealers for almost 4 years, dealing with UX and visuals. 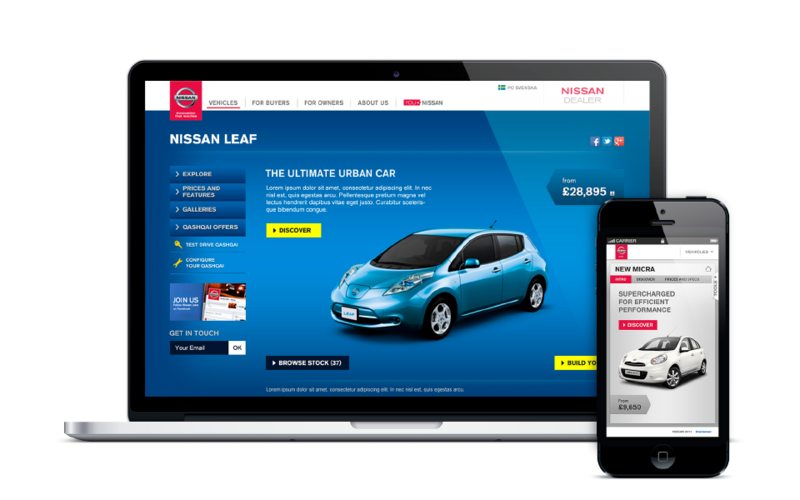 The package included mobile apps, the website, You+Nissan portal and numerous other items. 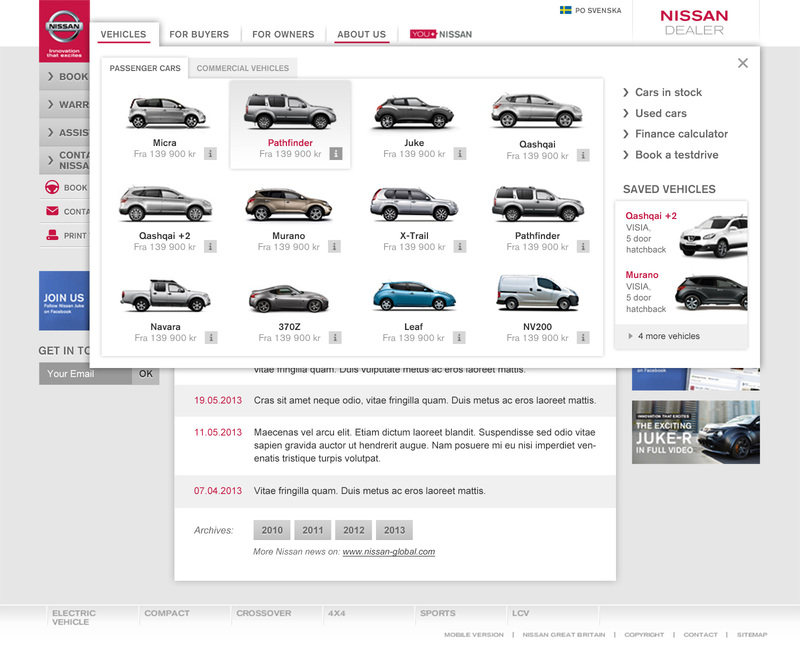 Meanwhile I compiled 3 guidelines for dealers of how to design additional pages and use the existing ones. 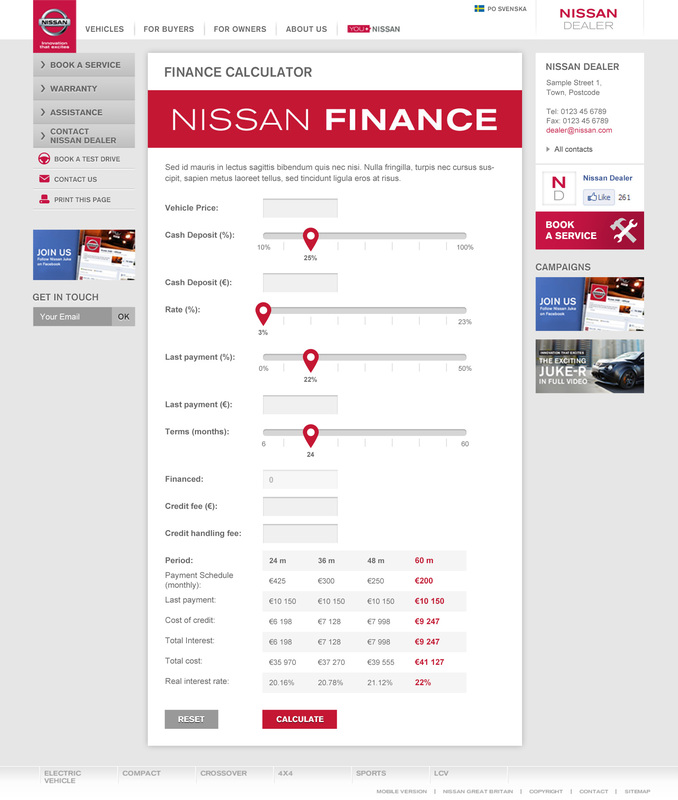 This is the longest freelance project for me, 4 years worth of work, two compete redesigns and lots of documentation.